Job Description Templates are formal templates useful to employees as well as the Management of organizations to track the responsibilities to be performed by each role. Job Descriptions need to be created for each role in an elaborate manner by the HR Department of organizations. Graphic Designer Resume and Designer Resume are created based on the Job Descriptions for these roles. 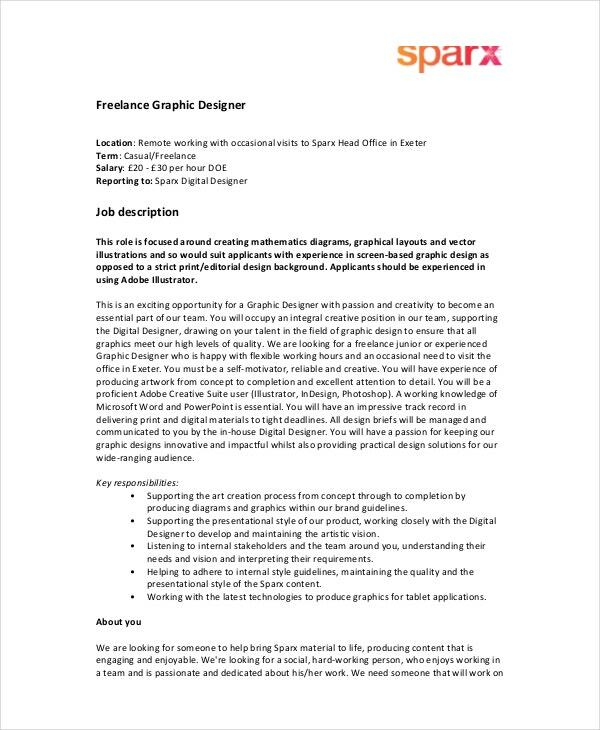 Graphics Designer Job Descriptions need to be created with great care to communicate the roles interactions with various Departments. 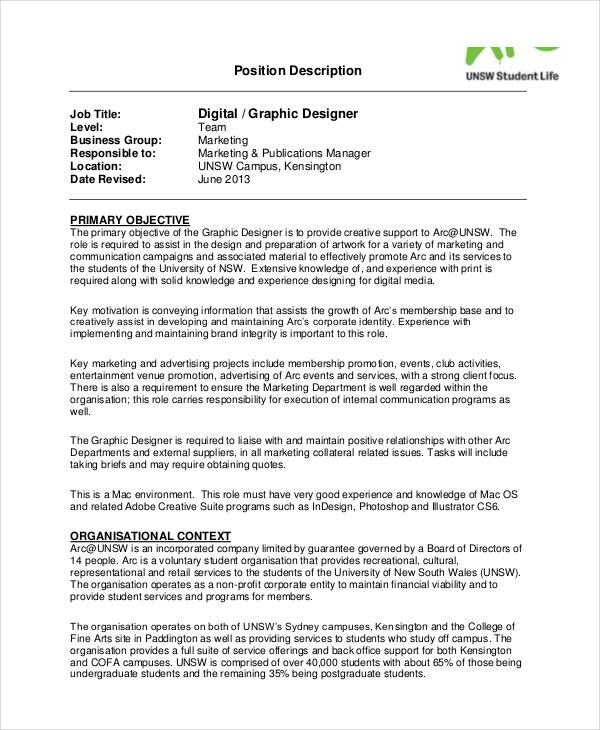 Junior Graphic Designer Job Description is a template that captures the responsibilities of a Junior Graphic Designer. It is a simple format and can be modified by the organization as per its requirements. You can also see Marketing Job Descriptions. 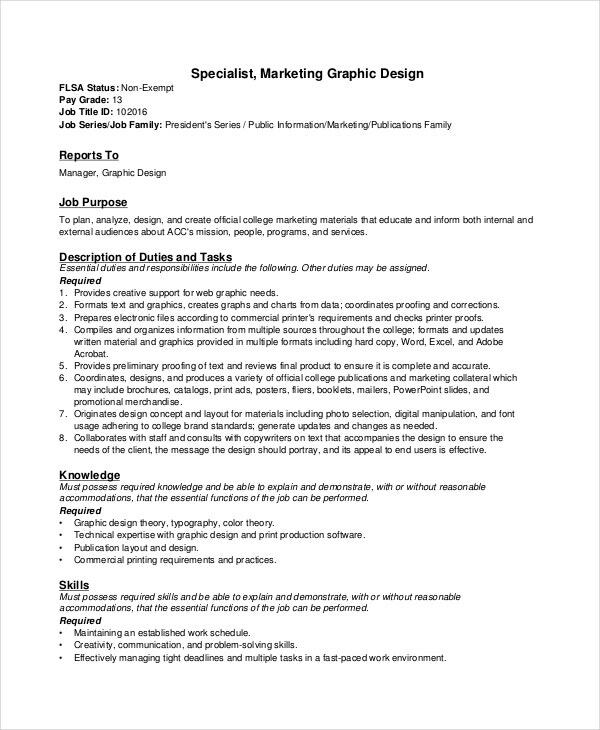 Marketing Graphic Designer Job Description is a template that captures the role and responsibilities of a Marketing Graphic Designer. This format is free for download and can be customized by organizations. 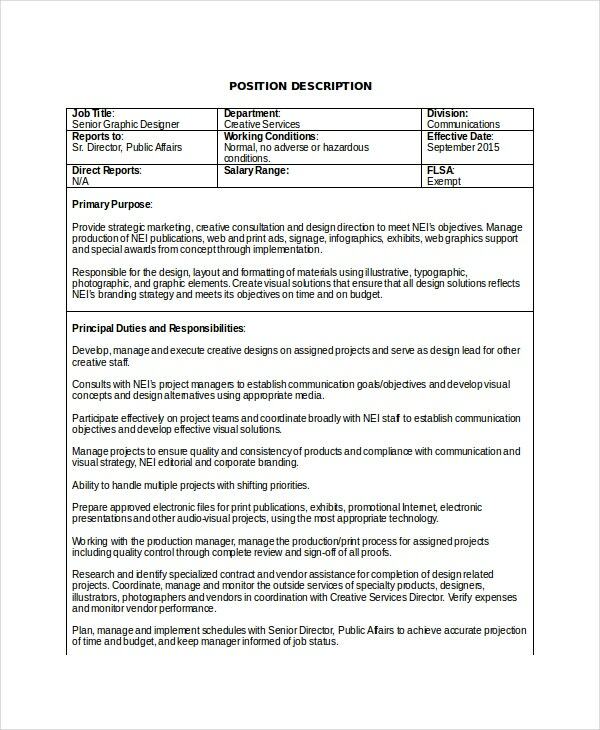 You can also see Art Director Job Description Templates. 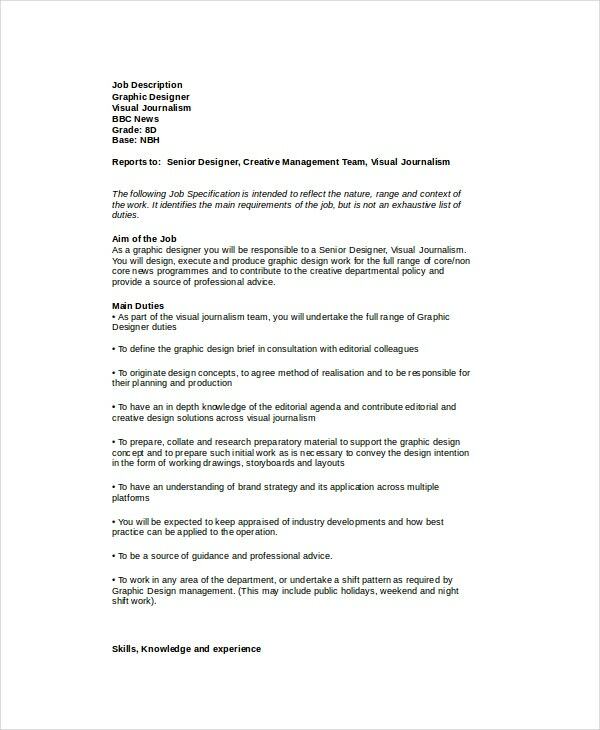 Motion Graphic Designer Job Description captures the roles and responsibilities of a Motion Graphics Designer. This is a modifiable format which can be customized by the HR team in organizations. 1. 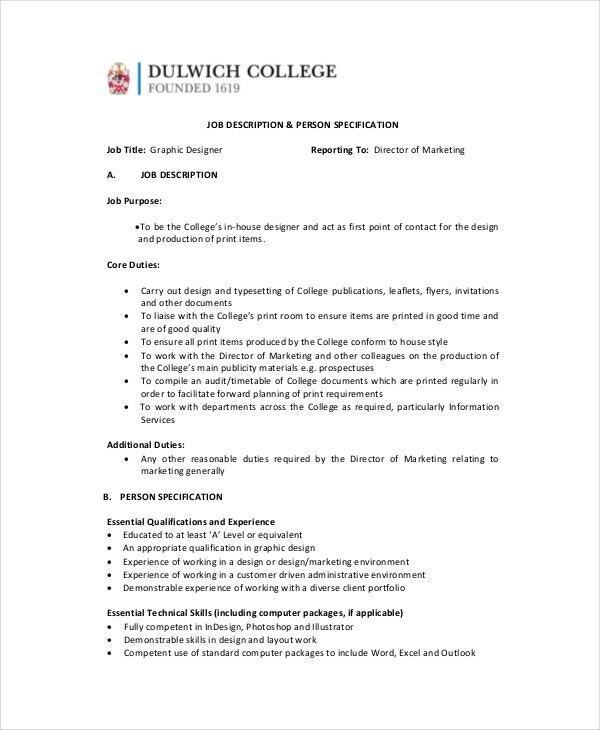 How can Job Description be used? 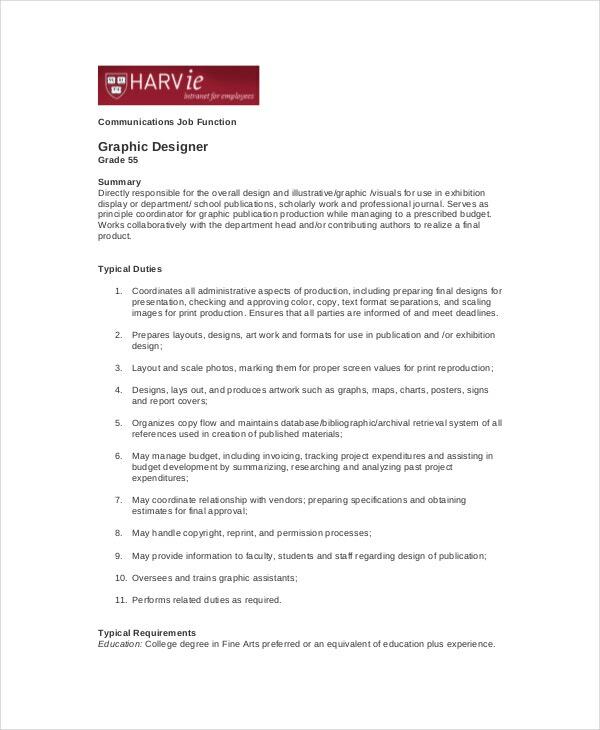 Senior Graphics Designer Job Description is a format that captures the roles and responsibilities that are to be performed by Senior Graphic Designers. It is a customizable format that is designed in a simple manner. 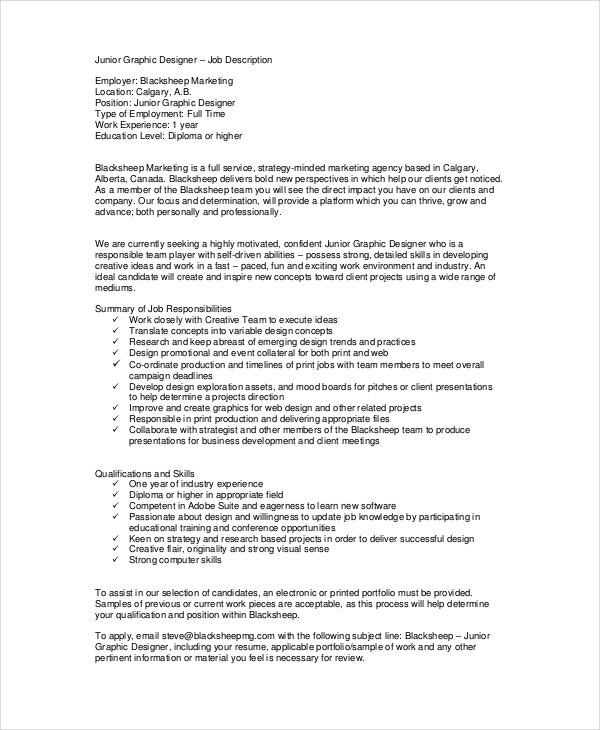 Computer Graphics Designer Job Description is a format that captures the performance metrics of a Computer Graphics Designer. 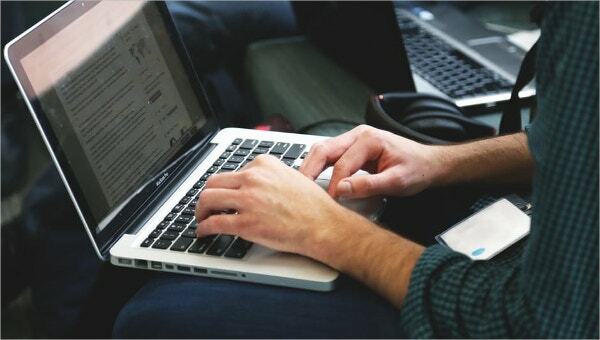 It is a simple format that can be customized by the organization to suit their requirements. 2. Who benefits from Job descriptions? Almost every employee who works for organizations benefits from the Job Description formats. Management teams and HR teams benefit to a major extent from these formats to decide on the roles and their contribution to the growth of the organization. Job Descriptions benefit all concerned people by providing a thorough guidance as to what is to be done by each employee on a day to day basis. 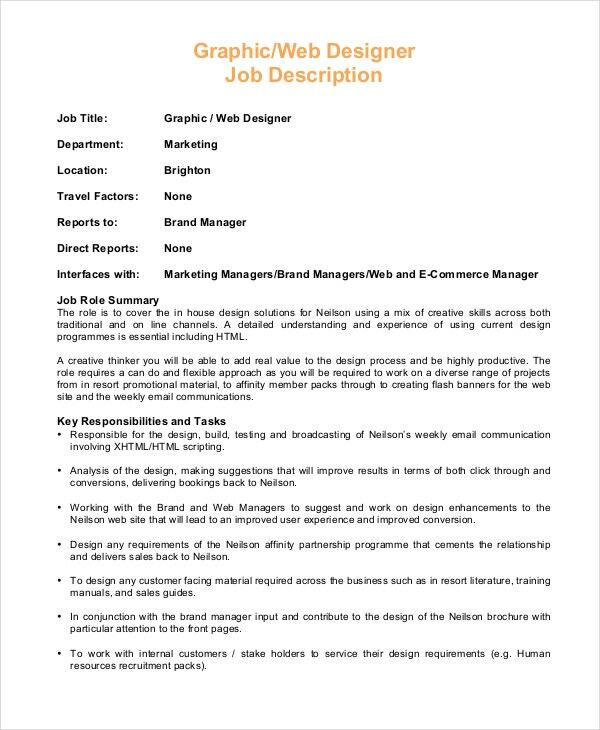 You can also see Web Developer Job Description Template. 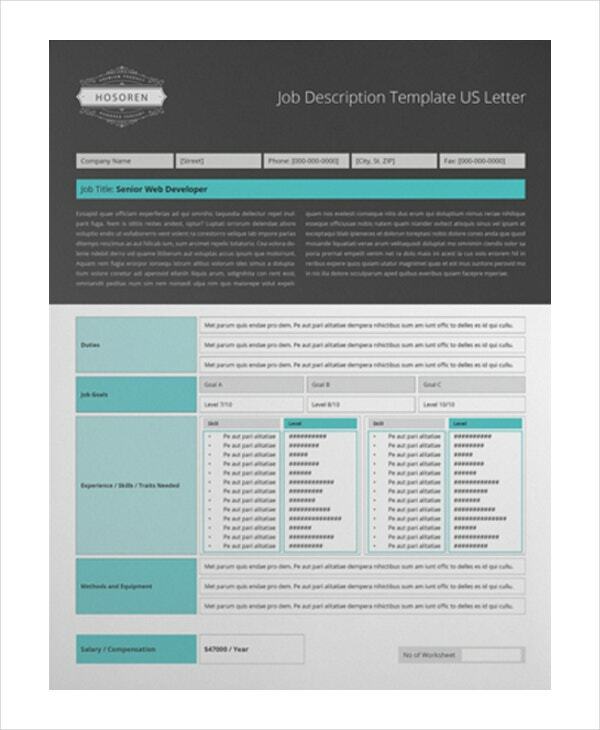 Download these job description formats for Designers. Customize them to suit your organization’s requirements for the role. Use these customized formats to keep your employees and management informed about the performance that can be expected from all the roles. These will help track the expectations from each role viz-a-viz the performance achieved.